Japan’s Defense Ministry announced the removal of four missile interception systems, citing eased tensions with North Korea. The ministry said that the communist country is unlikely to stage a ballistic missile blitz, meaning Japan no longer needs the units in place. Officials said the landmark summit between North Korean dictator Kim Jong Un and United States President Donald Trump led to the removal. 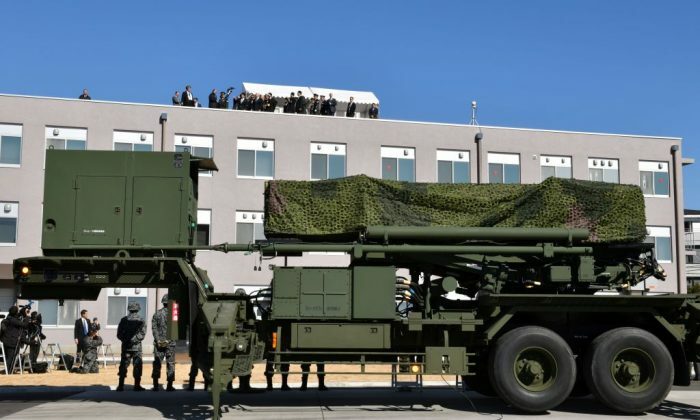 The Patriot Advanced Capability (PAC-3) units were deployed to four different places in 2017 after North Korean provocations, reported The Asahi Shimbun. North Korea launched a ballistic missile blitz in February 2016. The Defense Ministry also withdrew military personnel that were deployed with the missiles and ordered them to return to their bases, although it called on the personnel to remain alert to possible threats from North Korea. Although U.S.-based media outlets have been highly critical of Trump’s negotiations with Kim, aimed at leading to nuclear disarmament, the countries closest to South Korea have made a number of moves and statements supporting Trump’s work. Japan previously halted evacuation drills that prepared citizens for potential North Korean missile attacks. South Korea said it was involved in the decision to suspend military exercises with the United States and that it supported the order. “We have made it clear that this is a goodwill gesture to strengthen the dialogue momentum at this point, but they are not irreversible. They could quickly come back should we see the dialogue momentum losing speed or North Korea not living up to its denuclearization commitment,” South Korean Foreign Minister Kang Kyung-wha told reporters. South Korean officials said this week that they met with North Korean officials on July 31 to discuss measures to enforce the military part of their April summit agreement, when the leaders of the two countries met. “We will make our best efforts to ensure that we can craft practical measures to reduce military tensions and build trust between the two Koreas through this meeting,” Major Gen. Kim Do-gyun, the chief of the five-member South Korean delegation, told reporters before departing for Panmunjom. On the U.S. front, officials have said the progress is going well. North Korea recently sent back the remains of 55 American soldiers that were killed in the Korean War, and military officials said that U.S. recovery teams could be on the ground in North Korea by next spring to search for the remains of others. And satellite imagery analyzed by the website 38 North showed that North Korea took steps to begin dismantling key facilities at the Sohae Satellite Launching Station, the country’s main satellite launch facility since 2012. “Since these facilities are believed to have played an important role in the development of technologies for the North’s intercontinental ballistic missile program, these efforts represent a significant confidence building measure on the part of North Korea,” the website stated.